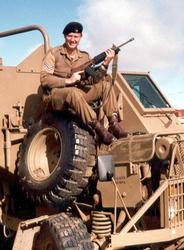 The Directorate Armour was established in 1972 with Brig J.R. Dutton as first Director. The Directorate Armour was transformed during 1999 to serve as a formation headquarters with all regular force units and reserve force units under command. 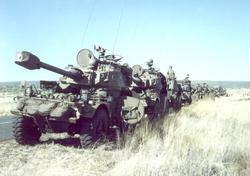 The SA Army Armour Formation was formally established on 1 April 1999 Colonel Henro Grobler, the last Director Armour, acted as the General Officer Commanding until such time that Brig Gen Chris Gildenhuys, the then appointed General Officer Commanding, returned from the United States of America where he served as defence attaché. 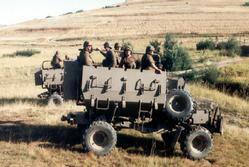 The SA Army Armour Formation relocated from the Bester building in Dequar Road to the Sebokeng buildings in Patriot Street at the end of 2003. The SA Army Artillery Formation, SA Army Air Defence Artillery Formation and the SA Army Intelligence Formation are also situated in the Sebokeng buildings. The SA Army Infantry Formation, SA Army Support Formation and SA Army Training Formation Headquarters are still situated at Army Headquarters. 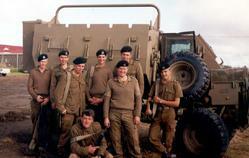 The SA Army Engineer Formation is in the larger Pretoria. 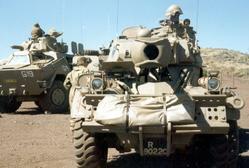 The SA Army Armour Formation Headquarters is the headquarters of three regular force units and seven reserve units. 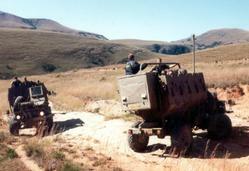 The formation headquarters is under direct command of the SA Army. 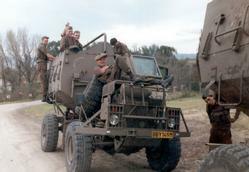 The SA Army Armour Formation badge (51mm H x 34mm W) of chromium-plated white metal was introduced for use by the South African Army Armoured Corps on 1 October 1996 during the celebration of the 50th Anniversary of the Corps. 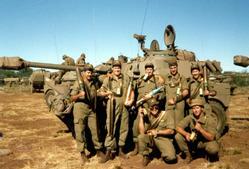 This badge is the first distinctive badge for the SA Army Armoured Corps since its establishment on 18 October 1946.